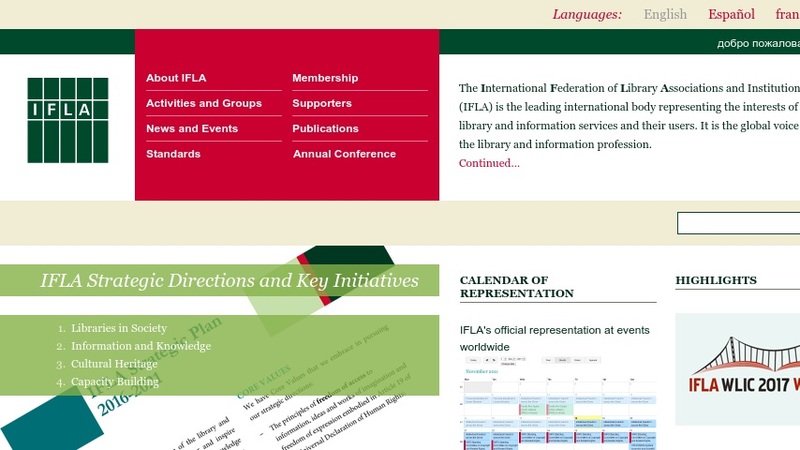 The International Federation of Library Associations and Institutions (IFLA) is a resource showcasing conferences, announcements, activities and services, and publications related to libraries around the world. The IFLA began in Scotland in 1927 and operates under three key pillars: society, members and profession. The IFLA was created to "encourage widespread understanding of the value of good library and information services." Resources available through IFLA include publications, databases, directories and indexes pertaining to library and information services around the world in over 150 countries.